Arcade Fire returned to Austin on April 10, playing the Austin360 Amphitheater at Circuit of the Americas (and following it up with an intimate performance of cover songs at Continental Club). Filled with human bobble heads and a decidedly Texas-inspired feel, Arcade Fire played more than 90 minutes of the impressive catalog. Though the band was touring in support of last year's Reflektor album, the Canadian act included such hits as "Ready to Start" and "Neighborhood #1 (Tunnels)" in the set. The band then jetted off to Palm Springs to close out Coachella on Sunday evening. Arcade Fire at Austin360 Amphitheater at Circuit of The Americas. 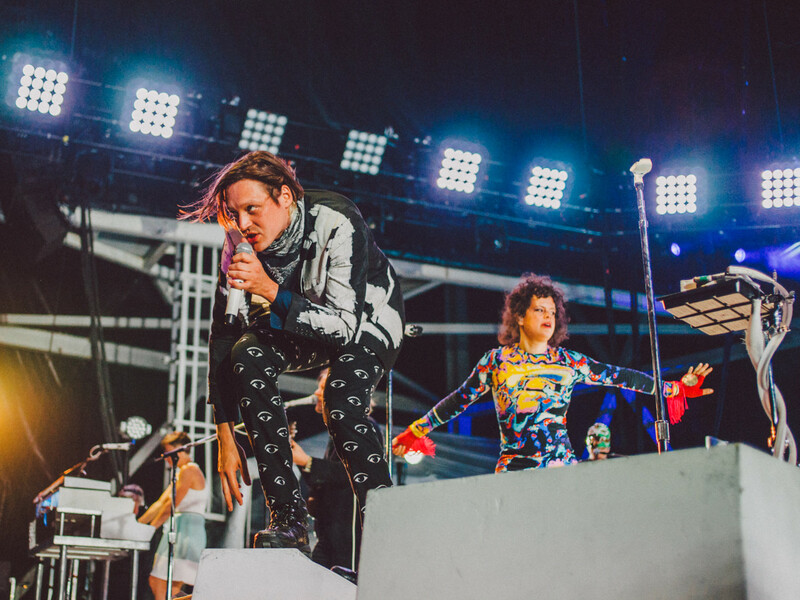 Win Butler of Arcade Fire at Austin360 Amphitheater at Circuit of The Americas.